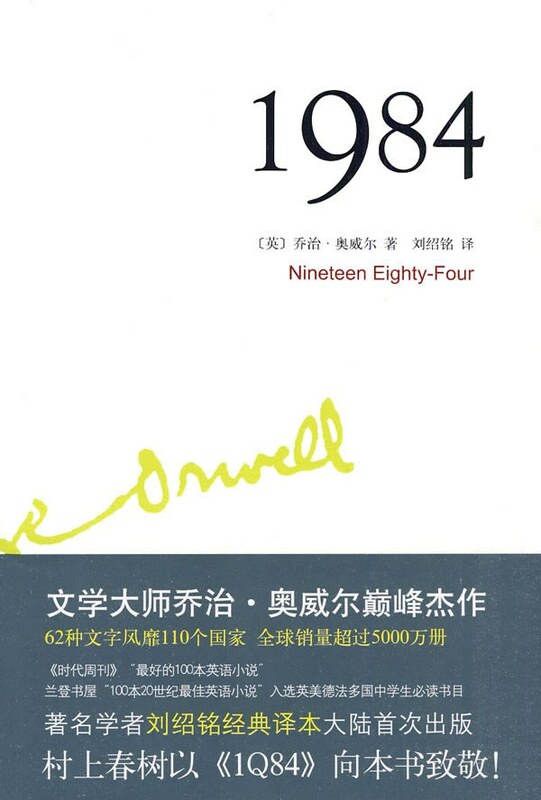 Before read 1984, I know nothing about this book. I chose it because it’s in the top list of douban. I never got such a complicated feeling when reading a book except that time when reading Huo Zhe by Yu Hua. When reading it, just feel so depressed and scared about what was said in the book, especially at the same time I was reading Niu Peng Za Yi by Ji Xianlin. It seems there’s no relationship between these two books. But it brought me same feeling and I don’t know exactly the reason. I didn’t start to learn more about the book until I finished it, and I was shocked that this book was written in 1949, because I thought it was published not for long. From it, I began to understand deeper about freedom and war. To look around the world and its history, I believe many things happens and happening are well reflected in the book.Quoted one saying, it’s their illusion but our history.